Back Braces For Bowling – Do They Help? In sports, the Hip Flexor muscles are a major factor in how well we perform. In today’s world we sit way too much! Whether at work on computers, playing Xbox games or watching our favorite movie or T.V. show. Sitting for long periods is unhealthy. So, how important are Hip Flexor Muscles in bowling? Did you ever wonder why you feel stiff after sitting for a long car ride? It very possibly could be a group of muscles that are referred to as the Hip Flexors. This muscle is called the Psoas (pronounced “so-as”) muscle. If you tend to sit behind a desk or computer, or even travel for any long distance daily, you create tight Hip Flexor muscles. When we stand, sit, bend or twist, we use our Psoas muscle. Bowling involves movements that mimic those same movements. This makes it vital that we have our hips warmed up and ready to go when we bowl. But how do we know if our hips are tight or not? Here are some ways to tell. Joint pain in your lower back, your legs and your hips. Difficulty moving your hips or trouble walking. Lack of energy or trouble falling asleep. Blood circulation problems or loss of sexual function. This is only a short list of problems that could be created by the Psoas muscle being too tight and some of the affects on other parts of the body.There is a way to help relieve your pain. The reason we feel that tight feeling we experience after sitting awhile, is because muscles are not being stretched enough to stay limber. The Psoas is connected to our spine and supports our back and hips. when that muscle group remains in a flexed and shortened position, it can cause us to lose balance. Balance is key in bowling to making consistent shots time after time.That’s why it is important to stand up and give those muscles a stretch after sitting. And keep them in proper muscle tone as well. Our Hip Flexor group of muscles also allow us to bend at the waist which is exactly what we do in bowling. They are the muscles we use to lift our legs, and create the movement necessary in walking, and very prominent in the kicking motion. Our entire approach in bowling is walking, bending and twisting as we deliver the ball. It is very similar to the motions used in football and soccer. Therefore, we are largely dependent upon these Hip Flexors to perform well at bowling. We need the flexibility of the back, leg and thigh muscles to work well. if you sit for excessive periods without standing and stretching you will likely feel pain and aching in your back and hips. Especially if you sit for long periods on a daily basis. Truck drivers often experience back and hip pain due to the nature of their jobs. You could start to experience back pain from excessive bowling putting too much strain on the Hip Flexors and back muscles. Bowlers who increase their number of nights that they bowl often feel this extra strain as a real pain in the back. Maybe a chiropractor or physical therapist has told you that you have a pelvic tilt. I was told that by a rehab specialist, as I went through a 10 week rehab program. It was designed to end my hip and back pain. Eventually, it helped some, but overall I would say it was more of a muscle strengthening program. And sure enough it did improve my ability to move around and perform better at bowling as well. And my pelvic tilt improved as well. Evidence today is indicating that tight Hip Flexors may not always contribute to as much back pain to pelvic tilt as the reverse may be true as well. It is now though that possibly the low back pain itself may have caused weakened muscles, which in turn actually caused the pelvic tilt. Either way, we still experience some gain from improving the muscle strength and flexibility. Stronger muscles provide better support and exercise keeps them toned. I was also told that I may have had some older muscle tears that had healed. When torn muscle heals it form scar tissue. The scar tissue that is formed is not the same as the original muscle tissue after this process.This tissue is more rigid than the original muscle tissue. So, we can heal torn muscle, but sometimes without proper exercises, done in the right way, we may never be the same again. The healed muscle may cause chronic pain that never goes away. No wonder people talk about that “old injury” that continues to bother them. But it is possible to break-up some of that scar tissue and help the muscle regain it’s flexibility. There are long standing theories about the tight Hip Flexors causing back pain, knee pain and even foot pain. This was a good selling point for the need of ongoing physical therapy treatments. It also keeps sales for back braces doing very well. Back braces can help with back discomfort as well. However studies in recent years have uncovered facts that point to genetic differences and other reasons as contributing factors to pain as well. It does not mean that Hip Flexors themselves don’t cause pain, because they often do. Stretching tight muscles may not be the exact reason for reducing pain, and tight Hip Flexors may not be the total cause of the pain. But, relaxing the tight muscle may help relieve pain in other ways, by reducing the tension or load on other areas of the body. So, a relaxed muscle is a good thing, even if it is not the muscle itself causing the pain. A relaxed muscle will perform better, and a warm muscle is less prone to injury. And many times working a muscle relieves pain as well. The number one cause of tight Hip Flexors is too much sitting! We do way too much of it. And when we do, we add to the problem by gaining weight. 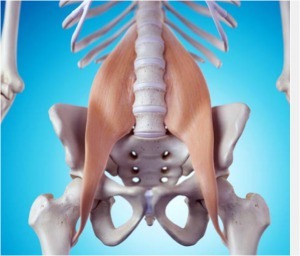 Most of the gain is in the waist.But the truth is, it could be weak Psoas allowing that pelvic tilt to occur as well. All the sitting we do can cause problems with the blood flow of the body. And some of the tiniest blood vessels control our sexual performance. So, no flow there and guys are in trouble in the bedroom. Why should it be any surprise that it also would affect our bowling? If you have read this far, then you probably have a pretty good idea how important the Hip Flexors are in bowling. That group of muscles is one of the largest muscles in our bodies and at the very core of your bowling game. I battled hip pain for years, and nobody told me that is could be the hip flexor causing or at least contributing to a substantial portion of my discomfort. In fact,I never remember Hip Flexers or psoas muscle even mentioned. However,I did notice that some of the exercises I was doing were only a fraction of the exercises I am going to tell you about. Now I understand better how this all works. I did yoga stretches for years and it did help. But it was designed to help your body in overall fitness. Now you can have something directed at the core of your back and hips. The psoas muscle is a hard muscle to reach, because it is deep within the abdominal wall. Most of the stretches today don’t get this muscle stretched properly. The only way to do it is through a series of stretches that target the psoas from different angles. Here is a way for you to learn this at home and without spending a fortune to do it. 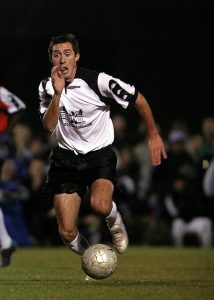 A course to help relieve the pain from tight Psoas muscles was developed by sports nutrition specialist Mike Westerdal. Mike is also known as a national best-selling fitness author and a personal trainer. He is also the founder of the internet’s longest-standing strength site, CriticalBench.com. Not suprisingly , he is also an Iron Man magazine contributor. By working with a Kinesiologist and Injury Specialist Rick Kaselj, MS., Mike and Rick have introduced a program that was developed as a way to loosen up tight Hip Flexors using a sequential flow method. This method is a series of exercises based in scientific principal and fact that have amazing results. Using a specific order of exercises that breaks up scar tissue and rejuvenates the psoas with increased blood flow. This is crucial to getting your body to perform at it’s best. It certainly will improve your bowling game as well. Find out more about the sequential flow method and how to unlock your Hip Flexors. Try Ricks program for getting your Hip Flexors unlocked and unleash your body’s “Mighty Muscle”. See for yourself how much your bowling game will improve. You won’t get these kind of results on your own no matter how many stretches or exercises you do. The cost is totally reasonable, and affordable. It is also backed by a money-back guarantee if you are not satisfied with the product. What have you got to lose except your pain? getmorehook.com is a participant in the Amazon Services LLC Associates Program, an affiliate advertising program designed to provide a means for sites to earn advertising fees by advertising and linking to Amazon.com.